Just like every story, there are two sides to every rap battle. Such seems to be the case for Drakeand Pusha T, who notoriously battled with diss tracks this past spring on the heels of Pusha's third studio album, Daytona. 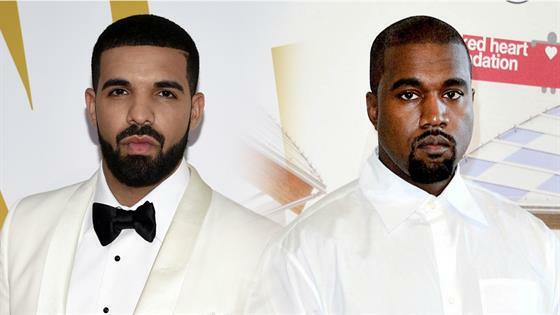 Drake revisited their feud during a recent episode of LeBron James' The Shop and suggested that Pusha learned of Drake's son through Kanye West, who produced Daytona. The rapper famously took aim at the new father on his diss track, "The Story of Adidon," and accused him of "hiding" the child. During the episode, Drake mentioned that he had sent a photo of his child to West and played him "March 14," the track on his Scorpion album in which he addressed becoming a father publicly for the first time. "I tell him I'm having trouble with my son's mother. We had a conversation," Drake said of Kanye on the episode. However, Pusha T said that's not how information traveled. "It may make sense in Drake's mind that, 'Oh Ye told Push about my son and my situation. I was in Wyoming…," Pusha T said on The Joe Budden Podcast. "It's wrong. It didn't happen like that." "The information came from 40," the rapper insisted, referring to Drake's longtime producer, Noah "40" Shebib. "It didn't come from Kanye at all. 40 is sleeping with a woman...He talks to her daily, five, six hours a day...provides opportunity for her and ultimately speaks about how he's disgruntled about certain things, notoriety and things involving Drake and his career. So on and so forth." Pusha continued, "With that also came the fact that Drake has a child. With that also came the trip that everybody took to go see the child and bring him gifts and all of this information. She divulged this information. That's where it came from." The comment echoes West's own denial that he issued in September. "I did not have any conversations about your child with Pusha," he tweeted at Drake at the time. "I don't play with the idea of people's children after I spoke to Wiz a few years earlier." Either way, now the world knows about his son. As for this feud, we'll just have to stay tuned.